Just like the motor industry, an M.O.T is a compulsory annual inspection for safety testing exhaust emissions of motor vehicles of more than a specified age. At the end of this process a document certifying that a vehicle has passed the safety test or alternatively a list of defects which require attention before a valid Passed safety certificate can be issued. 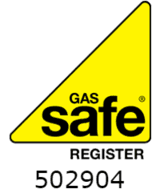 A Gas Safety Performance Inspection is reflective to an MOT within the Gas industry. A Gas Safety Performance Inspection (MOT) is not a service. What is an Appliance Safety inspection? An appliance safety inspection at a minimum includes all of the checks and tests to ensure the appliance is safe to operate. Any maintenance required will be assessed, recorded then remedial work will be brought to the clients’ attention. Gas Appliance Servicing is imperative for the safety and overall performance of an appliance. Any appliance left unchecked could leave you at risk of carbon monoxide poisoning. It’s an extremely good idea to have your gas pipework inspected at the same time as having a gas safety inspection. Plant rooms contain Mechanical equipment, devices, controls and appliances which work correspondingly to provide Hot water, Heating and cooling to a building. We carry out Plant room visual inspections and testing, with reports providing a detailed analysis of the visual condition of mechanical equipment, devices, Controls and appliances. These reports are paramount in maintaining the performance of a Plant room, and can also be a specified requirement for building insurance companies. We carry out specific water quality sampling and dosing on heating and cooling systems which is crucial to reduce the high levels of corrosion the metals within these systems are susceptible to overtime. With constant monitoring to preserve optimum Concentration of inhibitors within the system, we provide detailed reports and a flushing service if contaminates are found. We carry out onsite testing as well as a more in-depth Lab testing service. Our team of heating engineers take great pride in their customer service and giving you the best possible price. With a range of knowledge in the plumbing trade, we can offer you trusted advice and answer any questions you may have.